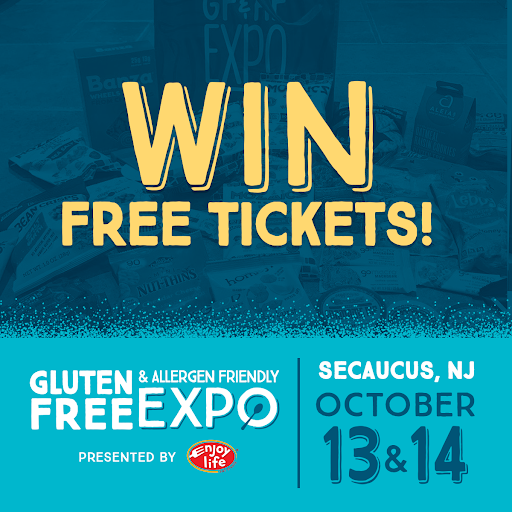 I’m beyond excited to be heading back to the Gluten Free & Allergen Friendly Expo as one of their Official Bloggers at the Meadowlands Convention Center in Secaucus, NJ October 13-14th! I have participated as a blogger for them almost every year it has been held in New Jersey except for last year and I can’t wait to see all of these incredible vendors again. Have you ever attended the GFAF Expo? If you haven’t, you really need to check it out. 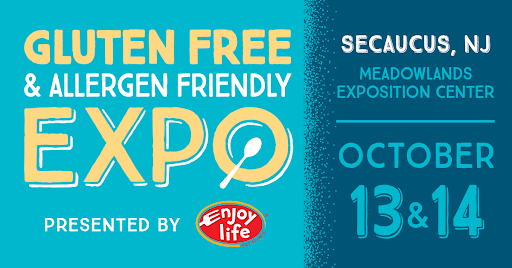 It’s two days packed full of education sessions, samples from your favorite (or soon to be favorite) brands and the best part EVERYTHING is gluten free and over half of the products are allergen friendly as well. It’s amazing. Not only do I find incredible products for my husband and I, but also for my clients and patients. 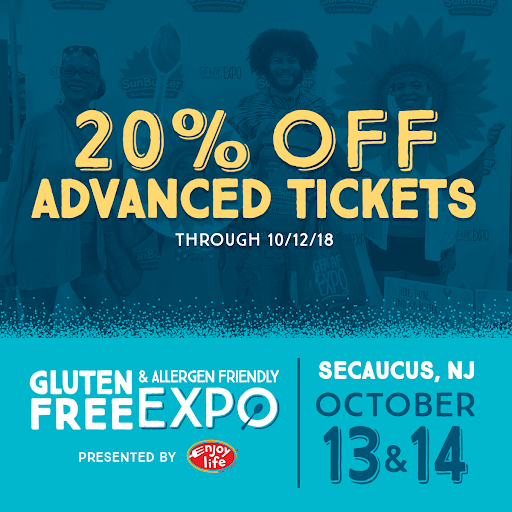 As a blogger for the GFAF Expo I am provided with five tickets to giveaway and coupon codes for 20% off through October 12th…keep reading for more information on how you can win a free ticket to the GFAF Expo and how to redeem the 20% off coupon code. I’ll be there both days – tag me or message me on Instagram and we can meet up! You don’t want to miss these! Each day there are several education sessions covering a wide variety of topics – click here to learn more about this years speakers and their sessions. There are two ways for you to win one of the five free tickets (1) Comment below on this post telling me why you want to attend (2) Comment on my Instagram post about the upcoming GFAF Expo. There will be two winners from posting here on the blog and three winners from Instagram. All winners will be chosen at random and will have 48 hours to respond or a new winner will be chosen. Giveaway runs from September 16-October 6th. Check out the list of this years exhibitors – click on each image to be directed to their website to learn more about them and the products that they have to offer. I attended the GF Expo last year for the first time. It was overwhelming the amount of exhibitors there were with GF foods. Some super good too. I’m planning to go this year, but hey, who doesn’t want a chance to win a free ticket? 🙂 Good luck all. DISCLAIMER. The Creative RD℠ website is designed for educational purposes only and is not intended to serve as medical advice. The information provided on this site should not be used for diagnosing or treating a health problem or disease. It is not a substitute for professional care. If you have or suspect you may have a health problem, you should consult your health care provider or a Registered Dietitian for a professional evaluation. INTELLECTUAL PROPERTY. All rights reserved. All content including, but not limited to, texts, marks, illustrations, photos, graphics, files, designs, and arrangements on this website are the intellectual property of The Creative RD℠ and are protected by copyright, trademark, and other applicable law.